After being turned into a Vampire, Stefen finds more than his mere existence to be altered. 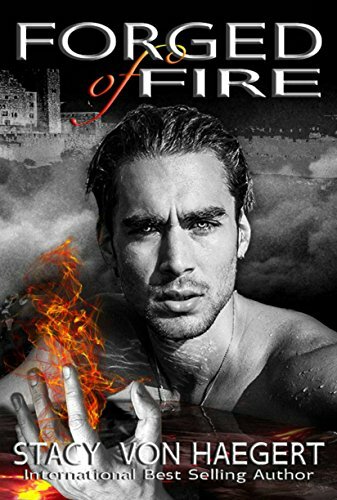 Now a Fallen, a hybrid with his maker's famed Dragon blood coursing through his veins, Stefen must rediscover himself and his newly awakening powers. When he is sent on a mission back to Hell, the place of his death, he discovers much more than what he bargained for. A child was left behind as a result of the battle that forever changed him. A victim of the war between the realms. Another hybrid, like him. Compelled by reasons beyond his own understanding, Stefen strikes a deal to help the innocent child. As she grows into a beautiful young woman, the more intertwined their two lives become and the more perilous their unique paths grow. It's not long before an old Oracle's words from years ago begin to ring true..."Fate holds the cards. Time reveals the hand." First off, let's just chat a wee bit about the cover of this story. Honestly, it's not very good. The model, to me, looks like he has a fake stash glued on his face. It's not a gripping cover overall in my opinion. That all aside, there is a really well thought out PNR in the pages of this vampire saga. Now I know, the blurb talks about our main character falling in love with a woman he helped out when she was a kid. It sounds kinda creepy, but really it's not. The story grows with the characters and there are reasons he's all about being in her life. That comes later though. I would say that this one had me on the fence at times. I really liked the parts of Stefan wanting to branch out from his royal family and do his own thing. Be his own man. However, we run the risk of being almost a spoiled baby at times. It's one thing to be your own man and another to walk around feeling entitled. Maybe I read too much into this aspect of the story, but that area tended to stick out at me most. The passion and drama in this one however made up for any short comings with the certain plot points. I would say that the second book in this saga does a good job of adding another layer to the overall cake. It's getting better with each edition and I look forward to reading more from this author! 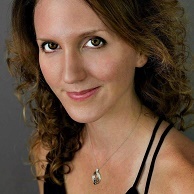 Stacy Von Haegert is the international best selling author of historical romance (the White Rose trilogy) and dark fantasy/paranormal romance (the Forged series). She is also a professional ballroom dancer and instructor. She lives in historic downtown Franklin TN with her husband, son, two unruly cats and Belgian Tervuren puppy. Her first novel, Under His Protection, debuted in 2015 and ran quickly up Amazon's charts, landing at #2 in U.S and #1 in U.K for historical romance. 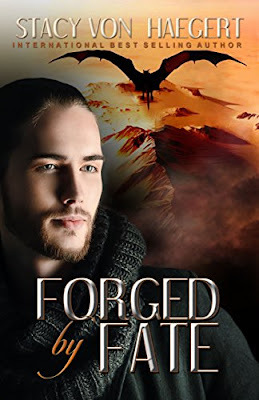 Stacy went on to expand her literary repertoire by diving head-first into the exciting world of vampires, dragons, angels and elemental benders with her first dark fantasy novel, Forged of Fire. When she is not writing or dancing you will most likely find her on a boogie-board, in a canoe, at a sporting event, or reading. Stacy's newest release, Forged by Fate (book 2 in the Forged series) is due out March 20th, 2017. She is also working on a stand-alone historical, Lords, due out in summer, 2017. The 3rd novel in the Forged series, Forged from Blood, will be available in spring of 2018.